We offer Vancouver’s finest luxury SUV transportation services. Each vehicle is equipped with every option and plush leather seating to enhance our clients comfort while they travel with us. Our drivers are what really set us apart from other limousine operators in Vancouver. We are very lucky to have a dedicated and courteous staff of chauffeurs who will take every opportunity to make your experience with us extra special. We have over 20 years of experience providing chauffeured SUV transportation services and we only keep the best drivers. Our SUV’s have sleek black exteriors and feature seating for up to 6 passengers. Cabins are decked out with flat screen TV’s and DVD players, a surround sound system, comfortable leather interior, tinted windows and air conditioning. Ritz Limousines owns and operates all of our vehicles and our fleet is held to the highest standards of quality and safety in the industry. Our fleet of SUV’s is kept in pristine condition and cleaned before each new service. Our professional SUV transportation service is an ideal way to travel to and from Vancouver International Airport (YVR) from anywhere in the GVRD. Fast reliable service for hotel transfers, nightclub runs and corporate events. We also offer professional airport meet and greet services. There is no better way to treat newly arriving guests then to be greeted with a limousine and chauffeur. Simply leave all the driving and hassle of airport travel to us. Ritz also offers complimentary in-house event planning. If you have any questions about booking any limousine, SUV, or party bus services please feel free to contact our friendly staff at your convenience. We can also help organize and plan fun events for you and your party around Vancouver and it’s surrounding regions. Our executive SUVs are designed for 1-5 passengers. 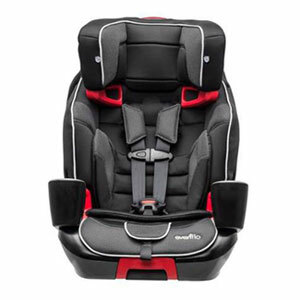 High quality infant, toddler and booster car seats are available upon request. Your family’s safety is always our number one priority. Please advise our service representatives upon booking the number and sizes of seats you will require for your travels with us.